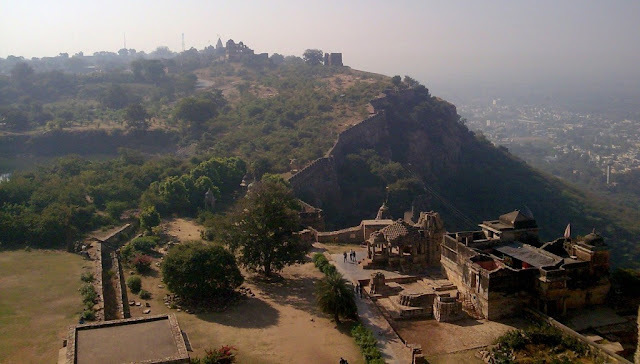 Fortified citadel, tales of brave Rajputs to whom Pride was more important then their lives and womenfolk who chose to immolate themselves rather than the dishonour at hands of attackers. 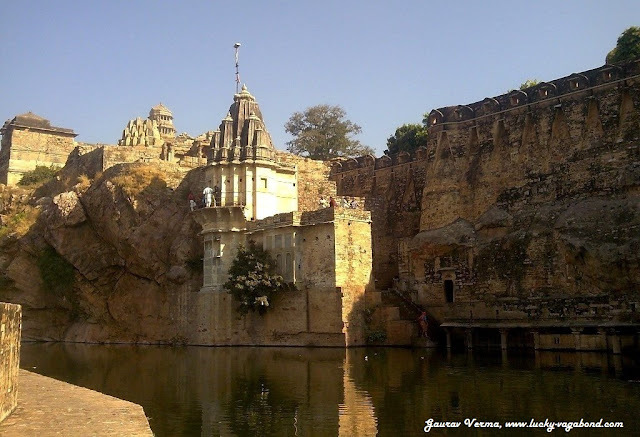 Chittorgarh has been at the centre of all the brave tales, Nationalism and chivalry of Rajput Kings is indeed "Pride of India"
Chittorgarh is well connected by trains/ buses to Delhi and other cities. 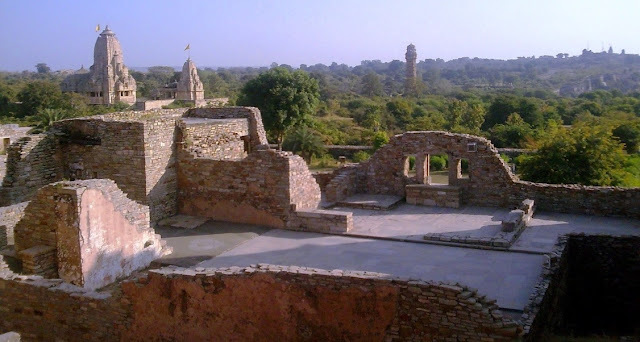 To get closer to Chittogarh, we boarded a night train from Delhi and reached Chittorgarh at 4:30 AM in the morning. With its fort like construction, the station itself says a lot about the city. At such an early time, getting an accommodation will be a herculean task wherever you are in India. If you find yourself in such a situation, do try out the retiring room at railway station, the way we did. The room was much bigger than our expectations and was laden with all the amenities. The best part is that the check in time started when we actually checked in at 5:30 AM. If we would have stayed in any hotel, we would have paid rent for 2 days. Well begin is half done...after taking a short nap, we were ready to embrace the pride of Rajputana. If you do not like staying at the Railway Station, there are a number of hotels (suitable to every budget) just outside the station. There are a lot of forts in India and Chittorgarh fort is the biggest fort not only in India but in Asia. One has to cover around 3-4 kms. just to reach the main entrance gate. Place yourself comfortably in an auto or an open car and tread the way, which has witnessed a lot of historical endeavours. Either you can rent an auto or you can trust your feet for an enriching hand shake with our glorious past. Auto charges Rs. 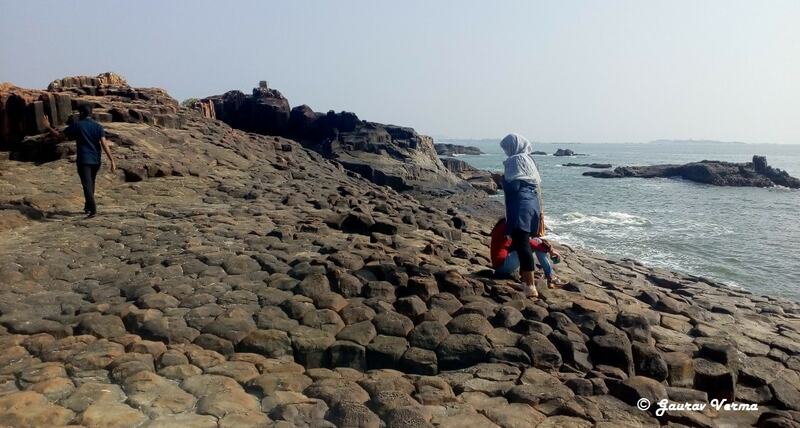 200 and will take around 3 hours for a complete sightseeing tour. 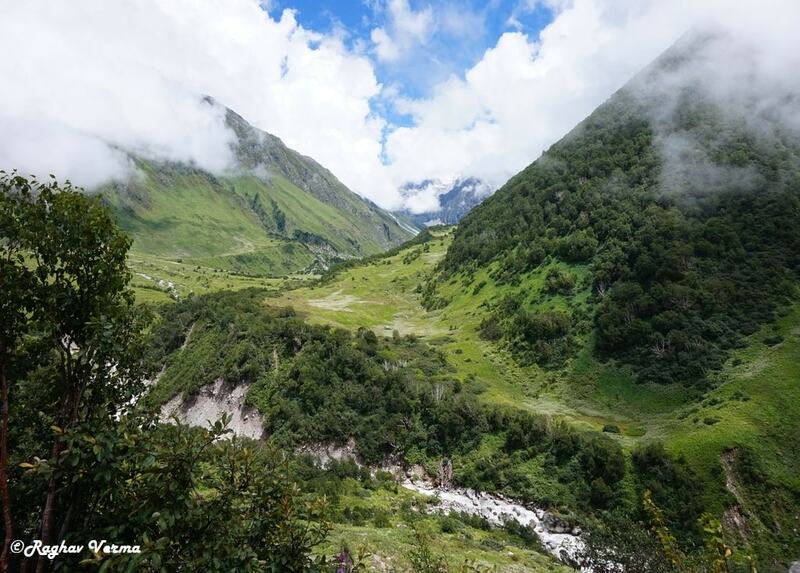 However if you want to get into the skin of local culture, start walking. What could have been the most auspicious way to start our walk around the fort, we were greeted by the Shwetambar Jain Temple. Carved out of limestone and built 1300 years ago, this amazing temple is still holding its head high in the glory. 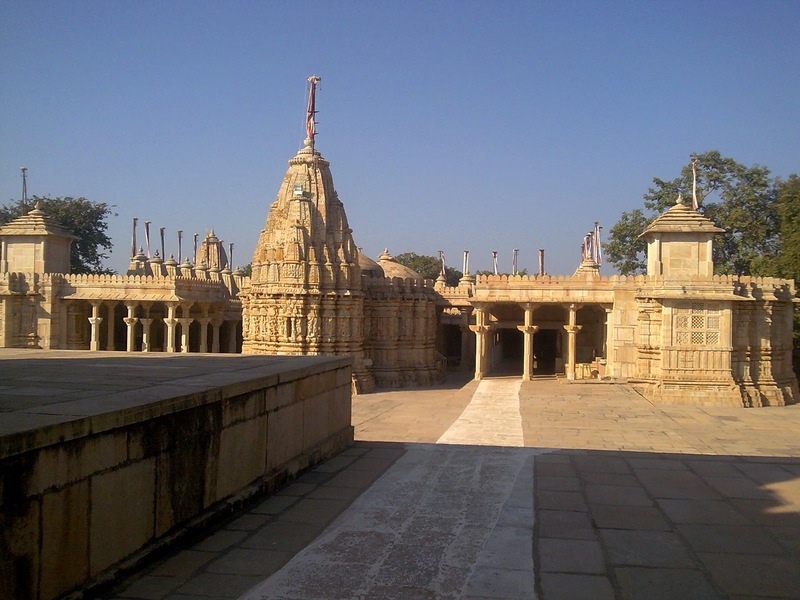 The Jain Temple has numerous beautifully carved statues of Gods and Goddesses all over it. Inside the temple pray to the Lord Mahaveer and seek blessings for the onward journey. Temple has been a witness to a number of attacks and attackers, but none of them has been able to decimate its magnificence. 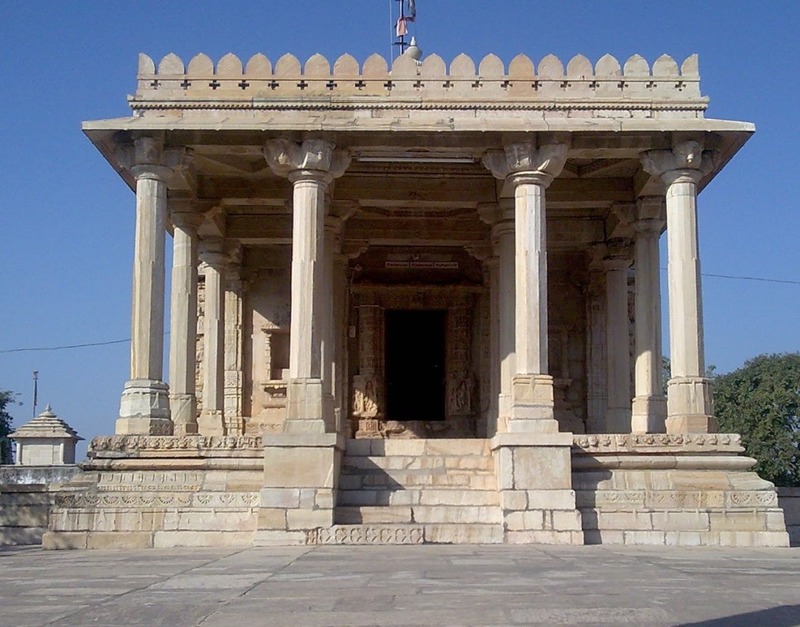 Just opposite to the Jain Temple, there is a beautiful Temple of Saint Mirabai. Mirabai was married to Price Bhoj Bhoj Raj, the eldest son of Rana Sanga of Chittor. Though Mirabai was born in a Rajput family of Rathore clan, but she dedicated her life to the devotion of Lord Krishna. In India Mirabai is a household name and is immensely respected by the devotees. The premises of the temple houses an enchanting statue of Mirabai and lord Krishna. Numerous of the holy chants popularised by Mirabai for the worship Lord Krishna are still sung by devotees all over the world. The temple will fill your inner soul with the devotion and trance. 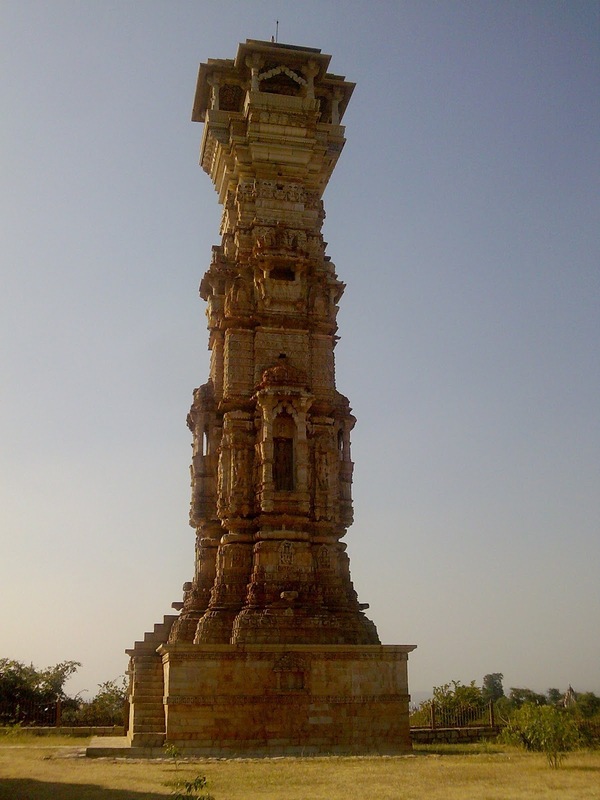 Just few steps from the Mirabai Temple lies the "VIJAY STAMBH, VICTORY TOWER" विजय स्तम्भ standing proudly as the testimony of the Pride, Bravery and above all dedication to the motherland. Victory Tower was built by Rana Kumbha in 1440 AD, after his successful conquest of the kingdoms of Gujarat/ Madhya Pradesh and the victory over Mohammed Khilji. With its might of 9 stories and 37 meters height; Victory Tower is not an emblem localized to Chittorgarh or Rajasthan, but for whole of India it is a symbolic of Freedom and Love of motherland. 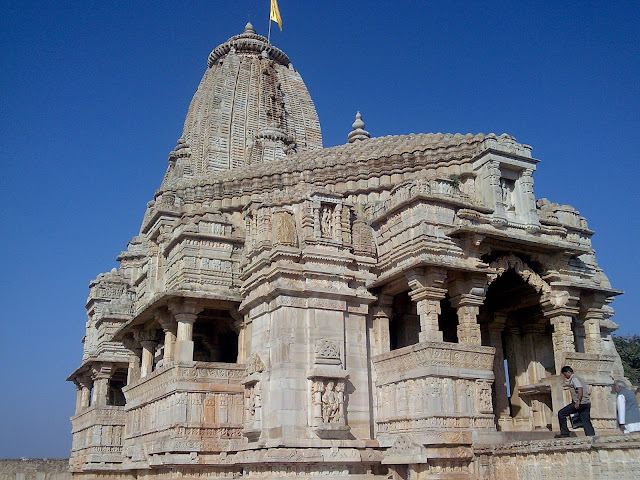 That's why a visit to this place is a must in the itinerary of Rajasthan. 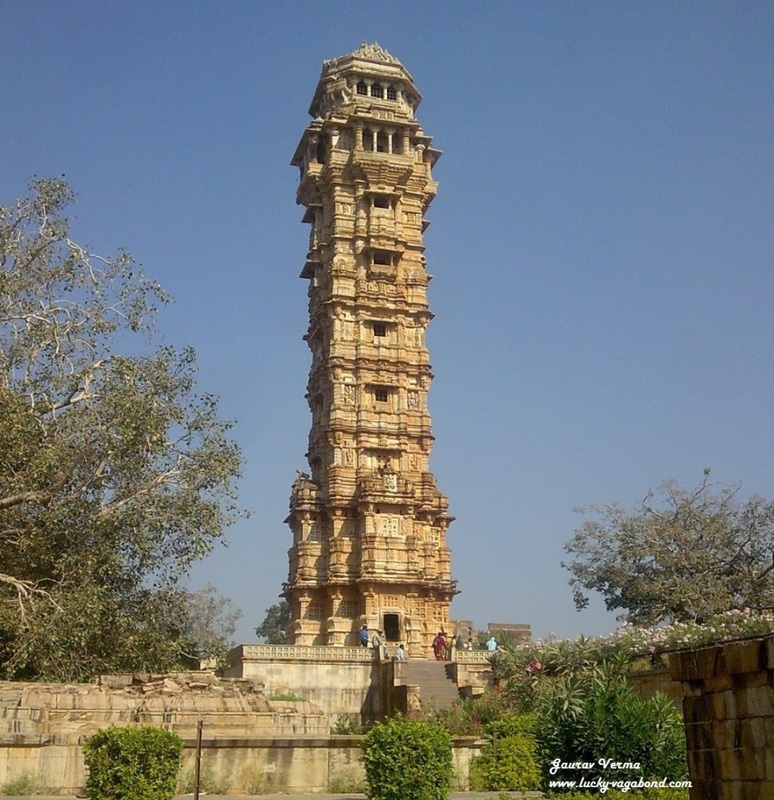 Covered with exquisite sculpture of Hindu deities and the great epics; architecture of this tower is equally impressive. There is no continuous staircase running till the top. There is a chamber inside the tower running till the very top. You have to take stairs alternately from one floor inside the chamber and the next floor outside the internal chamber. The premises surrounding the Victory tower also homes a very ancient temple dedicated to Lord Shiva - "Samiddhesvara Temple". 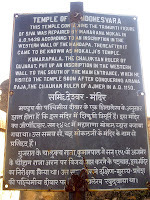 This temple was located by King Kumarpal of Chalukya dynasty in the year 1150 AD, almost a thousand years ago. No one knows the real time, when it was constructed. The charming and exquisitely carved 3 head statue of Lord Shiva will definitely leave you spellbound and refreshed for the road ahead. Also at the backside of the premises there is a reservoir of water. 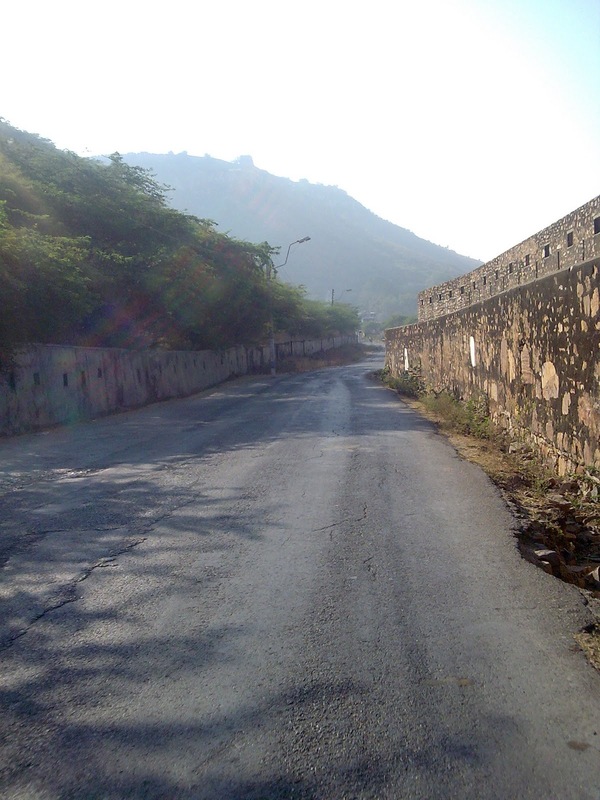 This reservoir was used to supply the water to the fort during exigencies and sieges. 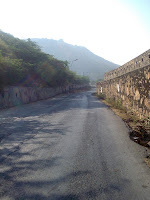 Through a dedicated number of channels, water from all the sources/ places in the fort used to get collected in this reservoir. Simple and very effective way of water conservation, modern day engineers need to learn a lot from the effective water harvesting techniques of those times. 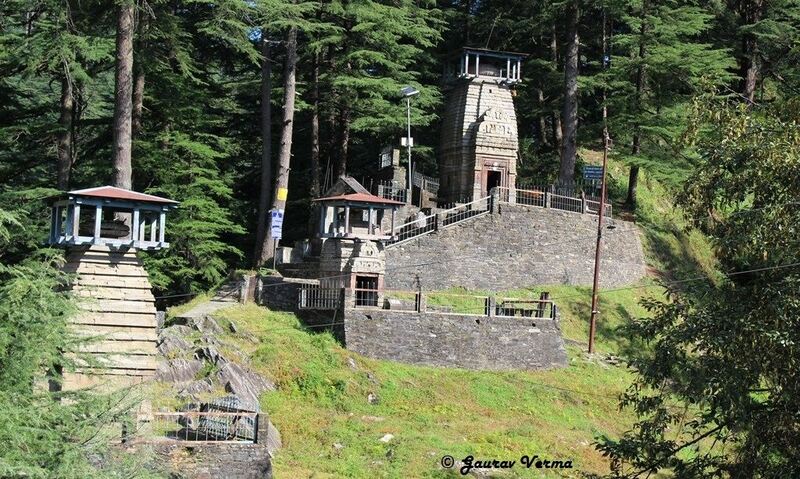 This 800 years old temple has a very high significance for the locales and people of nearby areas. 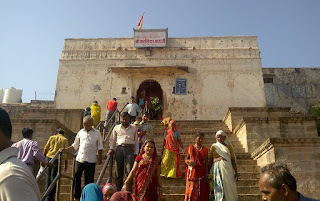 This temple of Goddess Kali (Goddess of power) is always crowded by the devotees coming from far off places too. Once inside the temple it was the time for us to get acquainted to the local customs and beliefs. 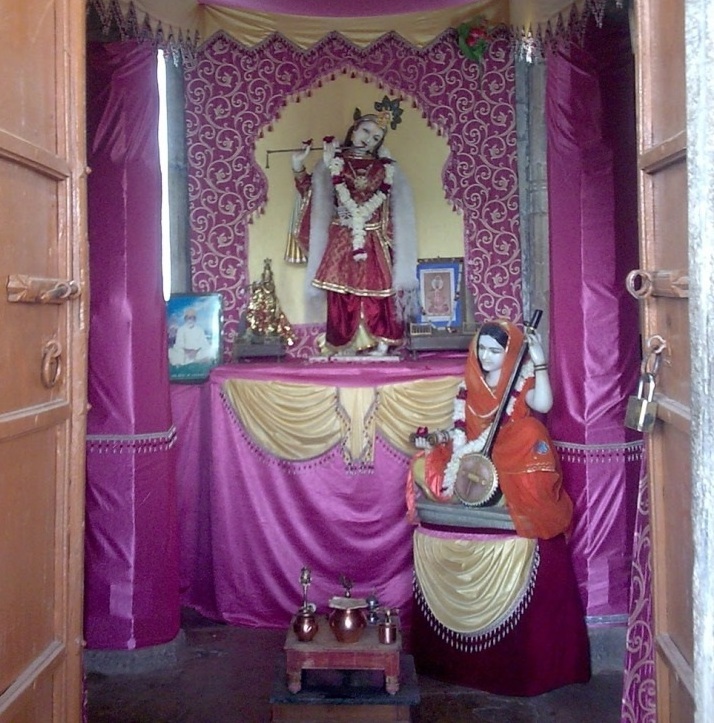 · Some of the devotees were offering liquor to please the Goddess. 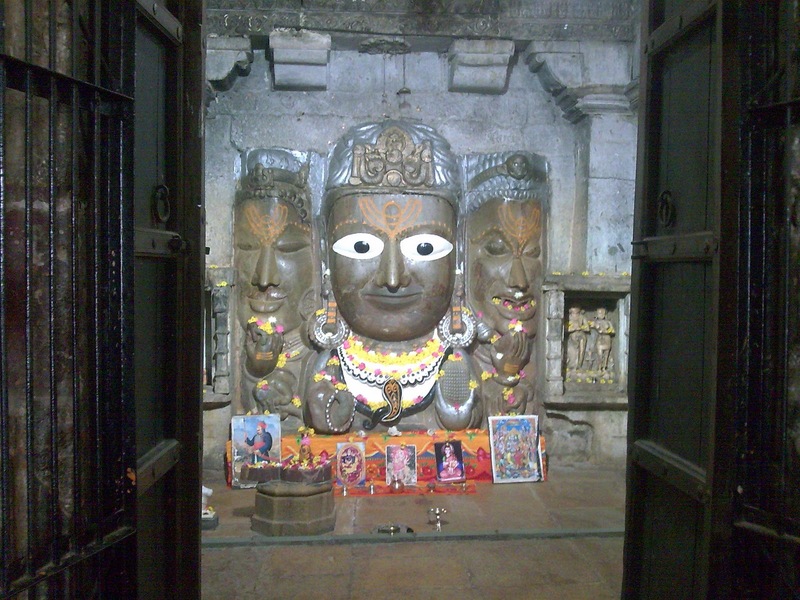 · There was a big bowl of grains kept inside the temple premises. We saw the devotes were picking the grains and counting. On being asked they told us that fetching odd number of grains is considered auspicious. So we also tried our luck and to our good fortune we fetched the odd number of grains. By the way if you feel tired by the time, there are a few tea stalls serving excellent TEA. If you ask them they will prepare it to your taste by adding ginger, cardamom, black pepper or tulsi leaves (Indian Basil leaves). 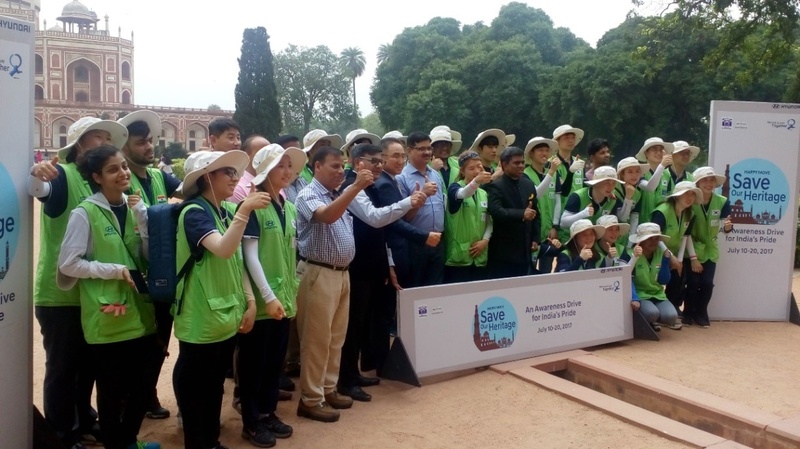 Hey Hey…while we were busy in checking out the extravaganza of the monuments, we totally forgot about the walk. 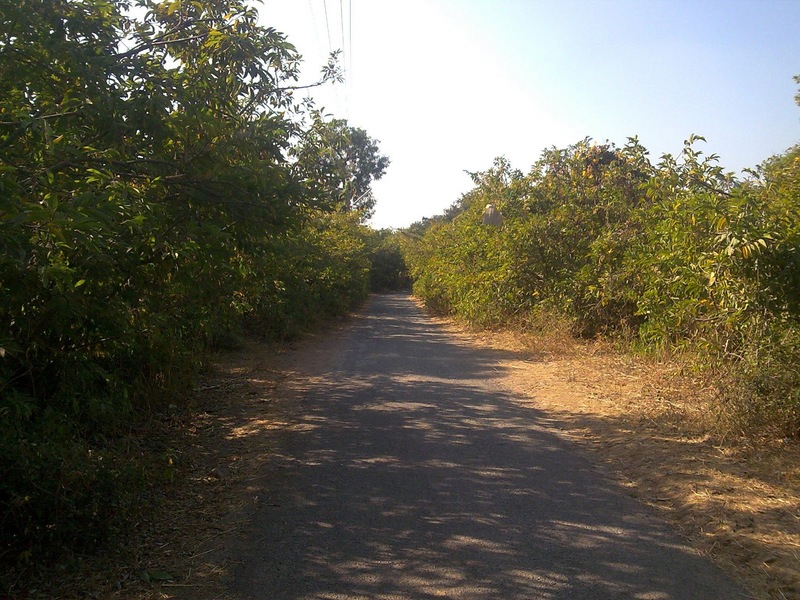 The fort premise is full of Sugar Apple or Custard Apple tree plantations, on both sides of your walking road. These trees provide locales a means of livelihood, as only locales are authorized to pluck and sell these Yummy fruits. You will find local women selling these fruits at very low prices. If I was supposed to return home the same day, I would have carried the freshness of this fruits in dozens to my home. So keep on satiating your taste buds with these sweet fruits and continue enjoying the rich heritage of this place. I did not count how many I had, what a pleasant substitute; I had for my lunch. 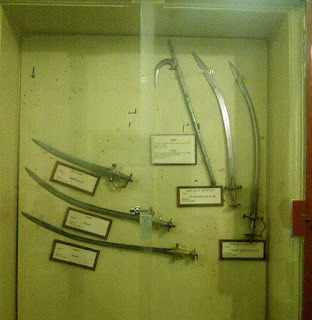 It's the shooting time guys, here are the Guns. Well if these 8 ft. long guns mesmerized you; Now it is time for the big daddy of all the guns. Here is the 12 ft. long Gun. Put your thinking hats and tell me how this gun used to shoot in the battlefield. 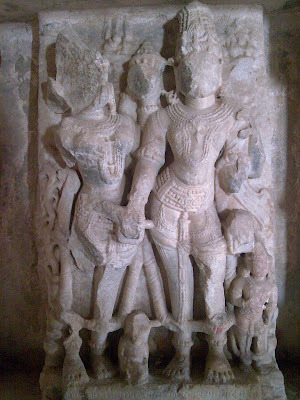 This museum is located just at the entrance of the Fort and near to the “KUMBHA PALACE”. Kumbha Palace has been the witness to the Courage and Chivalry of the Rajput rulers and their womenfolk who considered death as a better option rather than the dishonour at the hands of invading armies. Their Nationalism and supreme sacrifices to preserve their motherland can not be described in a few words. 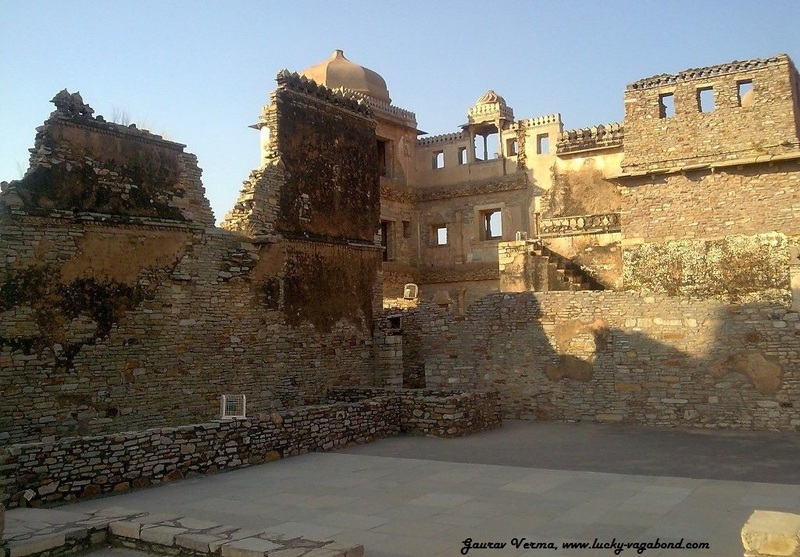 This is the palace where Rani Padmini (wife of Rana Ratan Singh) in the year 1303 AD consigned herself to the funeral pyre as an act of jauhar and all the women of Chittor jumped into the flames. 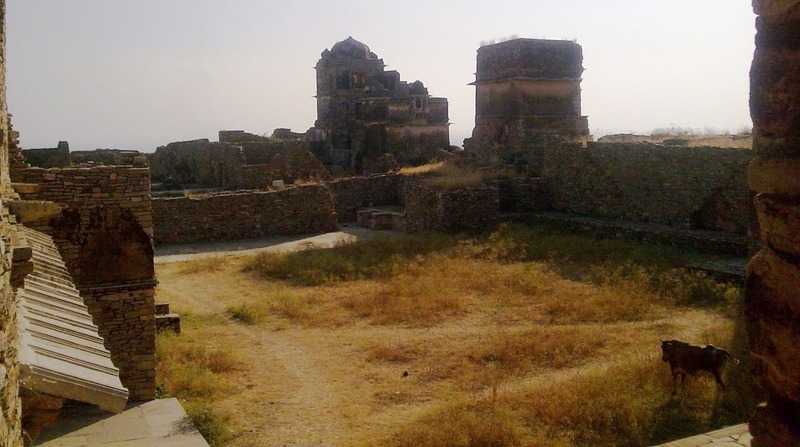 With their women and children dead and nothing to loose; Rana Ratan Singh and his troops dressed up in battle gears for the last time, an act called “SAKA” and charged down furiously on the Alaudin Khilji’s forces. Despite being outnumbered profoundly; the battle they fought to save their motherland is a legend and still continues to inspire the generations. This was the first time a Jauhar was committed, but for your information it was not the last time it was committed. 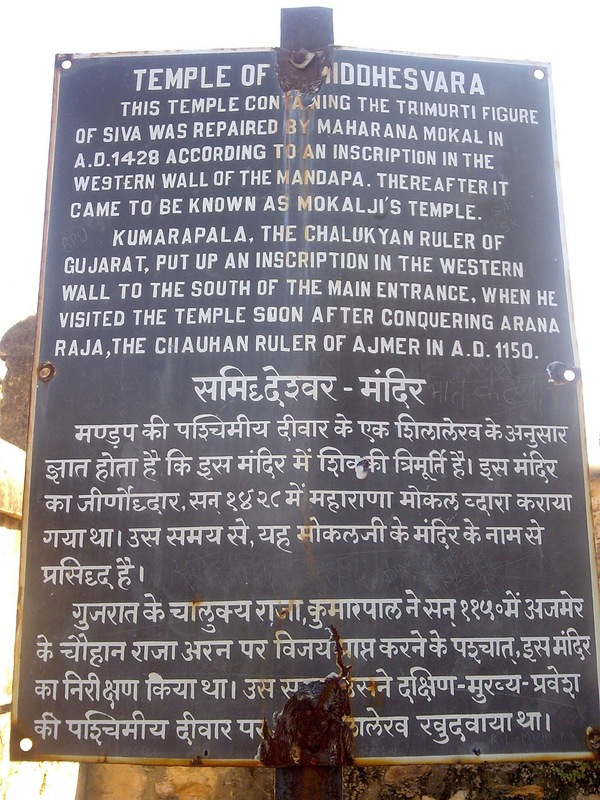 In 1535 AD Rani Karnawati led the Jauhar against Bahadur Shah’s invasion and in 1568 AD the reason of Jauhar was the Emperor Akbar. After the carnage by Akbar, the fort has never resettled again since then. The women who committed Jauhar have departed but their memories are still intact and is glorified by means of songs, stage shows, films and puppet shows. Perhaps that was the only way in those times and circumstances to keep their honor intact by the womenfolk against the invaders. 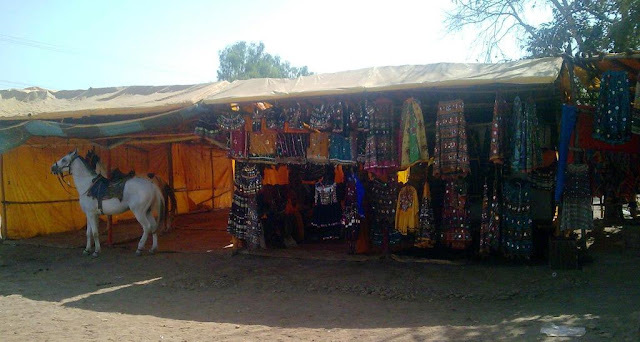 True to their past traditions, people in Rajasthan are still following the traditions with utmost pride. At times it is said that often in the race of modernization culture takes a backseat. One should come to this place to check how the people have kept their culture embraced despite modernization. If you have such a glorious past then surely it worth taking pride. 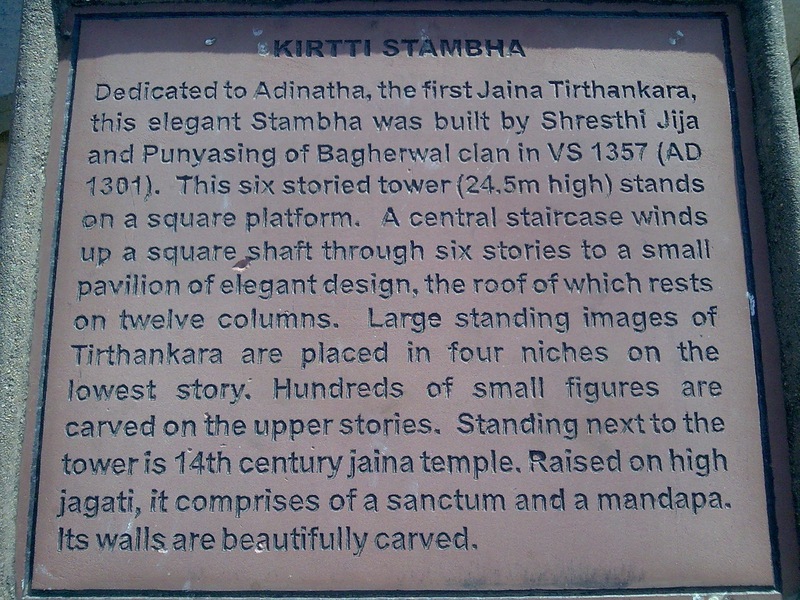 The same was engraved everywhere in Chittorgarh fort: "Connect with the history and feel PRIDE". To summarize I am glad to have got a chance to be at such a place. Chittorgarh truly echoes with the tales of romance and valor unique to Rajput traditions and is surely a shining illustration of "Brand INDIA" and will continue to instil Nationalism in the coming generations. 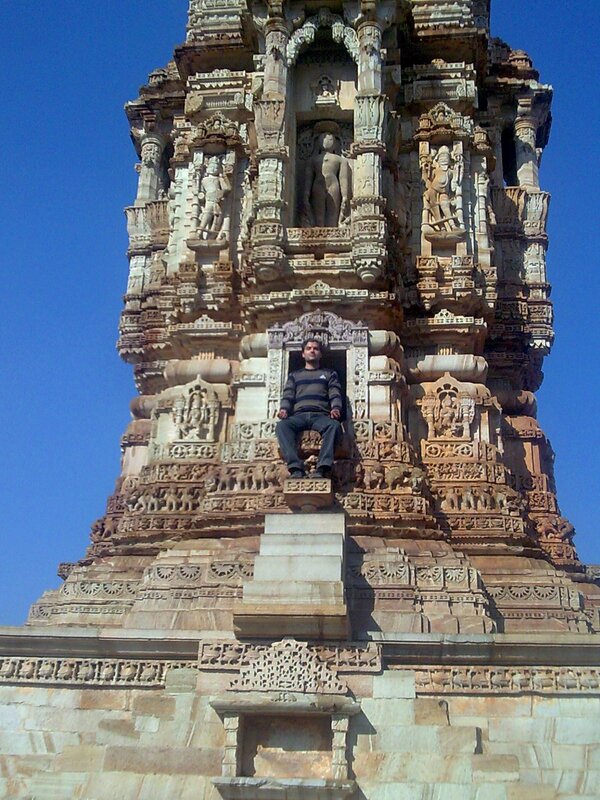 (A good part of classical movie “Guide” starring legendary Dev Anand was shot in Chittorgarh Fort. the character of Raju guide played by Dev Anand is immortal in Hindi Film history). From Chittorgarh, continue the trip to Udaipur, the city of lakes.